I don’t think I am alone when I say that this election doesn’t bring the same sense of energy and enthusiasm seen in 2013. 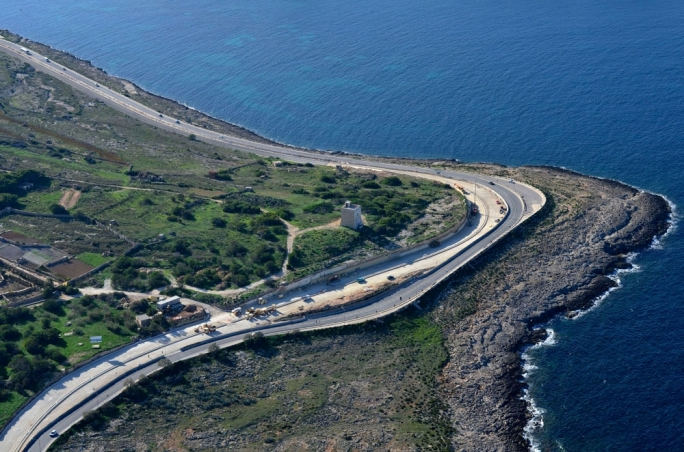 Four years ago, I was one of the minions, as a particular blogger used to call us, and above that, I was a “switcher” with a deep-blue Nationalist background, closely related to the ‘Duchess of Gozo’. It wasn’t an easy decision but I strongly believed that the new movement created by Joseph Muscat brought with it the ideas and momentum needed to change the antiquated and stale environment of a party in government which had become too comfortable in its mediocrity. I had spent most of my teens and adulthood abroad, and having been blessed with a solid education and governance experience outside my native shores, I felt the need to contribute back to the country that for my first 14 years I had called home. Having gained a historical electoral mandate was only the very start of the huge endeavour for the new government. I decided to take a chance and leave my comfort zone abroad as well as my private firm, to lend my expertise in rebuilding and executing a manifesto that I strongly believed in. Re-adjusting to Maltese culture was certainly not easy. I believed that some bureaucratic procedures were outdated, and certainly needed to be steamrolled over. Mistakes were made that shouldn’t have been made, and certainly many of them were inexcusable. This experience was not what I had hoped for, and certainly it was not what I had put my life on hold for, yet I persevered and raised these concerns with the powers that be. Unfortunately, whether due to other priorities or not, a response to my concerns and objections was never received, a telling way that I needed to move on. After taking a new look at opportunities which I had refused in the past year, I accepted one of them and tendered my resignation for my post with Malta in late 2016. The Opposition continued its attacks with stories which were, for the most part, fabricated. However, I believed that these stories were only possible and believable by some due to the same mistakes that I had hoped would be corrected. Each story that came out was almost a reassurance to me, that I was right and “they” were wrong; until about a month ago – when one of those same fabricated stories hit too close to home. One of the targets was a close friend of mine, close enough to call her family and I knew beyond any shadow of doubt that she had nothing to do with was being said. The story was out there, yet no proof followed. It was, though, enough to tarnish my friend’s name. I wasn’t sure I would even care to vote. My personal experience was not as I had hoped for. However, as I reminisced, I remembered the day the new administration removed the time-bar prescription allowing ministers, parliamentary officials, mayors and councillors to be prosecuted for any criminal actions, without a statute of limitations. I remember the fight to push forward the IIP programme which, despite the opposition’s effort to block it from an EU level, successfully brought to Malta more than €200 million. While I personally cannot find a way to excuse some of the mistakes that happened, I also cannot forget that this government’s delay in opening the new power station by over 19 months is an improvement on the previous government’s delay of 19 years to open the new hospital. I also cannot forget that while I always had my rights preserved, it took a new administration to grant those same rights that I take for granted to the LGBT community, and furthermore, safeguarding a woman’s right to safe access to the morning-after pill instead of risking their lives with cocktails and who knows what else. I don’t want these to become past memories, I want to continue living within these accomplishments and many others more! The movement led by Muscat brought about changes that were only promised in the past, but never delivered, and yes, today, despite its shortfalls I still believe that the Labour Party remains the only option for Malta’s better days ahead. A wolf will shed its coat but not his habit. A predator will never be a lamb. Old adages are only words of wisdom condensed as to convey fundamental truths. These statements are complementary. They may not sound like the abstract of an erudite introduction by a brilliant student of a class A dissertation. There is a lot of meat on the quotes. The current election campaign, albeit nearing its end, deserves light to be thrown on the history of the Nationalist Party and its evolution. It is for the individual to reflect on past tactics and evaluate how much to believe in their promises and actions built on their track record. History is the great teacher. A barefaced lie is easy to detect. Half-truths are treacherous and deceive. And this brings to mind the famous (or infamous) affidavit by Mr Ettore Bono. His sworn statement over his name and signature as Ettore Bono to discredit Sir Gerald Strickland, at first glance will look as water-tight evidence. The word of a gentleman. In the annals of the Maltese Courts this is what can be found in black and white. However this is not the truth, the whole truth, and nothing but he truth. The real unadulterated version is the following: Ettore Bono in real life was none other than the local drunk known to one and all in the streets of Valletta at the time. He also made an extra penny serving as a waiter or bottle washer at some event or other in which Sir Gerald would be present. The baptismal records show the name Ettore Bono. The real man known to all was ‘Terinu’, the drunk and laughing stock of café society at the time. And this is where the treachery is and deception rears its ugly head. Apparent respectability on paper. The truth about the man in real life is completely otherwise. It is more than a case of mere perception or a genuine innocent slip-up or lapsus. 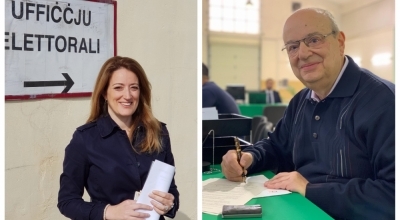 The heart of the matter is that the real Terinu, whether sober or not, albeit signing the affidavit under or over the signature Ettore Bono, is one and the same person. But on one hand there is apparent respectability and sworn truth and practically in the same breath the real man, the Terinu of the streets, is used to damage the reputation, the political status of Gerald Strickland and his Constitutional Party, at the time the nemesis of the Nationalist Party. I thought this true story needed retelling to illuminate the young and all those not really familiar with the tactics of the Nationalist Party of Malta and how very much economical with the truth they have always been. Which brings to mind something even more recent. In the past months the de jure leader of the Nationalist Party announced in no uncertain terms that he had commissioned a retired judge of repute to look into certain matters ostensibly of national interest. The real terms of remit were never made public. To date no one, except maybe the judge and the leader, knows whether a report has been drawn up or whether some form of document was written, delivered and then hidden. I am a follower of what is reported by local newspapers publishing in the English language. I may be biased in favour of the MaltaToday on Sunday because I read it invariably every Sunday. 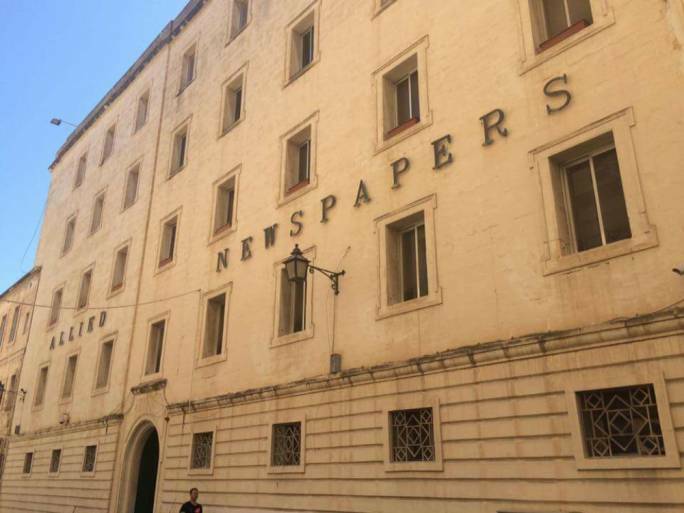 I have read about comments levelled at the editorial of the MaltaToday on Sunday in the sense that, sometimes, it leans towards the centre-left, which in Maltese jargon can be taken to mean that the newspaper is more inclined towards Labour than it is towards the Nationalist party. On the other hand, the bias in favour of the centre-right, being the Nationalist Party and the Democratic Party, by the other English language dailies is so obviously strong and without limits that any neutral person, such as a foreign reader, will notice that these newspapers are just one-sided. Observe for example the articles and who writes them. The articles shown in one of them today, 22 May, are written by: (a) none other than the partner of the leader of the Opposition, (b) an ex-MP on the ticket of the Nationalist Party, (c) a defector from Alternattiva Demokratika who is helping the Nationalists in their electoral campaign, (d) a well-written neutral article on education and (e) an article by an election candidate in the Nationalist camp. If one were to reflect on radio programmes broadcast on Campus FM one will find, more often than not, the same one-sided political bias one finds in the other English language media. What I find interesting is that contributors are invariably laureates, not the kind of persons who have not gone through formal education at tertiary level. In other countries, the educated lot would usually have a soft spot for the under-privileged centre-left and would not support the established right. The right-wing believe in a vested right to government come what may, as evidenced from the many years in power locally, their direct and indirect control of every aspect of our life and their level of arrogance and the superiority complex it brings with it. If I listen to a radio programme on Campus FM and find out who the speaker is I know in advance that there is a subtle anti-Labour message being passed to the listener. First of all the company refutes that there were any irregularities concerning either the dividends or the registration of company shareholding. The Allied Group condemns the airing in public of matters which are sub judice thereby disturbing its right to a fair and serene judicial hearing. This right is of a greater public interest than the commercial interests of any party to a court case. The group will therefore limit itself to issues which are not subject to court hearing. Allied Newspapers categorically refutes the wholly incorrect and baseless allegation that information on the payment of company dividends was destroyed. On the contrary the company had supplied Mr Hornyold Strickland with detailed information of such payments. Mr Hornyold Strickland on requesting information which is confidential between the company and the other shareholders to which he was not entitled to, was informed that the company was not in the position to comply with this request. 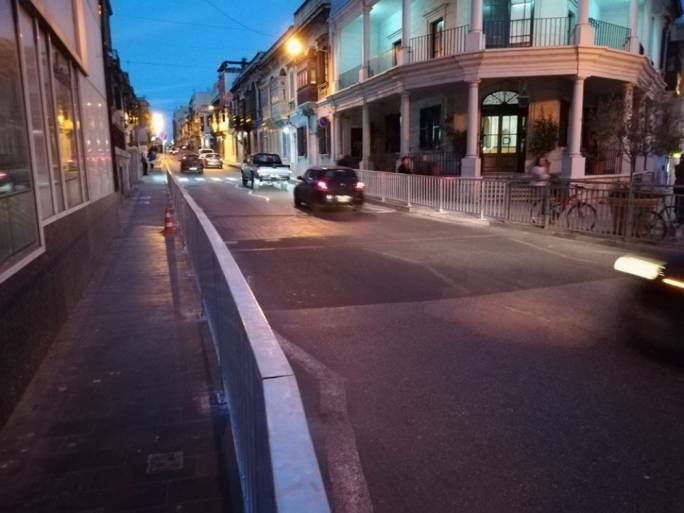 Mr Hornyold Strickland was informed also that some detailed information requested by him which stretched over the time-span of 29 years starting from 1988, could have been purged as allowed by law. Mr Hornyold Strickland has never queried the correctness of any company dividend allocation or any dividend payment made to him. In fact he has clearly stated that this matter is not the subject of contention between him and the company. Finally, the company condemns the attempt by Mr Hornyold Strickland to politicise issues which are purely internal to the company and of a commercial nature at this delicate moment preceding a general election. Why such a ‘snappy’ snap election? Up until February of this year, the Prime Minister kept reiterating that the elections will take place in good time, more than once indicating that there was no year like 2018 for it to be in good time. 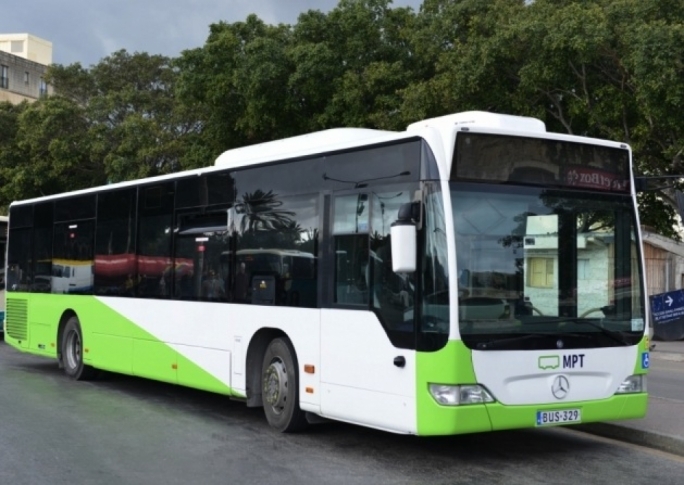 On 20 April, a month ago, the Russian whistleblower, an ex-Pilatus Bank employee, testified in the Magisterial inquiry looking into her allegations that the secret company Egrant’s UBO is Michelle Muscat, the PM’s wife. On 1st May, less than a month ago, and less than two weeks after the Russian whistleblower gave evidence to the Magisterial inquiry, the PM called the snap election, giving the electorate the shortest-ever campaign on these Islands. What made the PM turn his back on what he had been saying, with such insistence, for months? As the magistrate conducting the inquiry has made known, the inquiry is a very complex affair that will take quite some time. That such an inquiry would take quite some time, was no doubt obvious, if not to the PM, certainly to his lawyers, well before the PM sent the whistleblower’s allegations for magisterial scrutiny. They would have pointed out to him that notwithstanding the time this inquiry needed to run its full course, it might be concluded before June 2018, the latest the elections could be held. 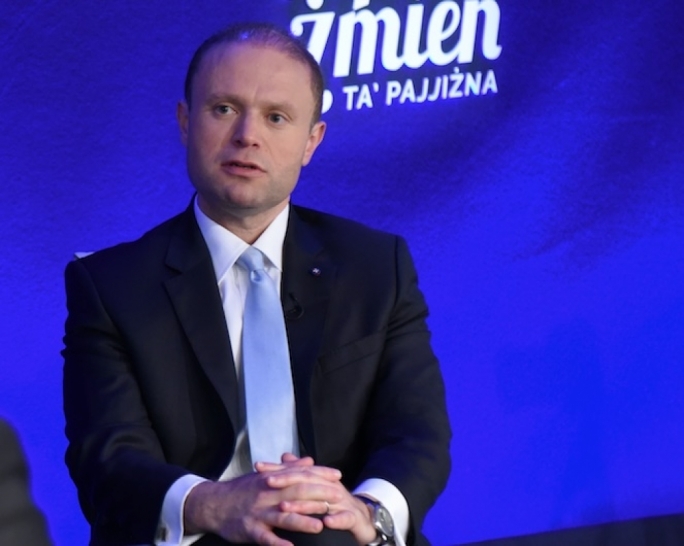 So to avert the prospect of going to the polls after the inquiry was concluded and its findings made public, the PM called the snap election with Malta’s shortest-ever campaign. And now he’s accusing Simon Busuttil with delaying tactics so as to prevent the inquiry being concluded before the elections. One can only hope that such see-through tactics will cost him heavily this 3rd June.